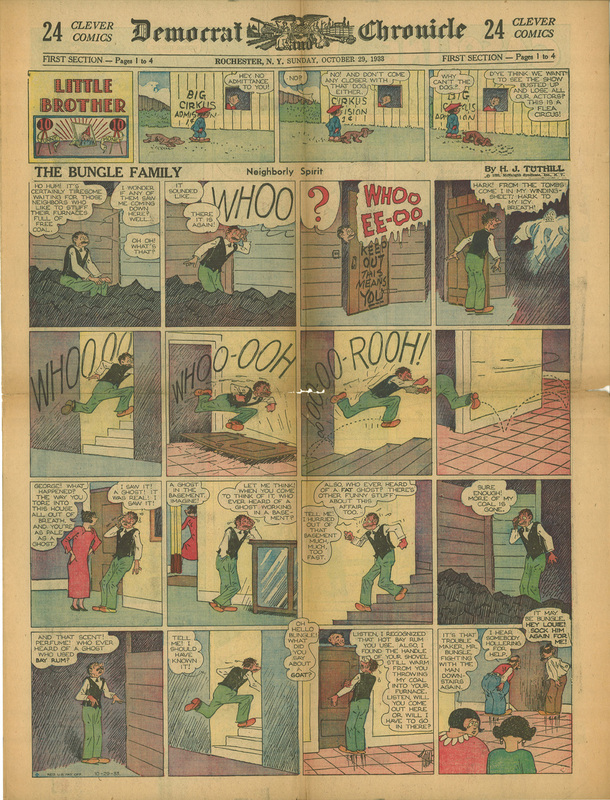 At the request of MJ, here are a couple scans I made of Harry Tuthill’s The Bungle Family Sundays. MJ was nice enough to send scans of a couple dailies he had as well, which are also below. Thanks MJ! 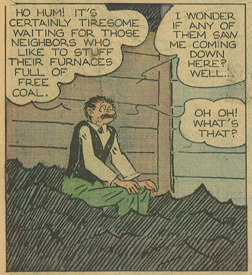 Above from October 29, 1933. Above from November 12, 1933. Click the above panels to go to the strips they come from. Click here to read the entry on Harry Tuthill at Lambiek.net. Click here to read the entry on The Bungle Family at Toonopedia.com. 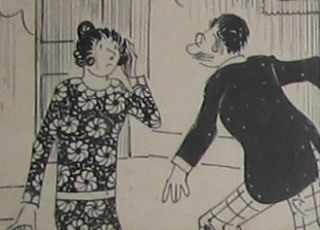 A number of excellent scans of strips can be found at comicartfans.com by searching for Tuthill. 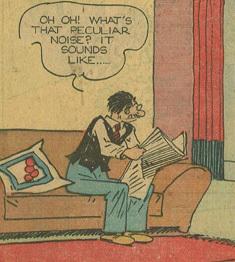 Like this hand-colored original Sunday from 1929. Check out the wild panel layout on this one. Here are more strips at comicstripfan.com. 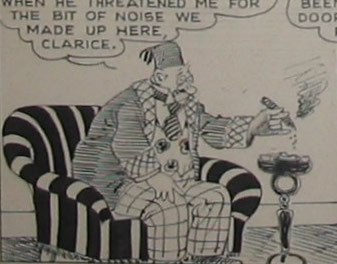 Also note that Mr. Tuthill is one of the cartoonists featured in Dan Nadel’s recent excellent book Art Out of Time: Unknown Comics Visionaries 1900-1969.